Yahoo! Sports ranks it as the 4th worst blown call in sports history. With the game tied and less than two minutes left, officials missed an obvious pass interference. The missed call prevented the Saints from running down the clock and kicking a short field goal to secure the victory and advance to the title game. The Rams would later win in overtime. As one would expect, the outrage among Saints fans was immediate and overwhelming. The excess energy created by that outrage was quickly turned to action. It was the lead story on every local (and some national) news stations. One local fan started a petition to have the NFL commissioner overturn the game, within 24 hours he had already amassed over 500,000 signatures. Celebrities and athletes weighed in on the missed call. Tens of thousands in the area vowed to boycott the Superbowl. A local car dealer purchased several billboards in Atlanta (the location of the title game) to express the city’s anger. A law suit was even being filed on behalf of the Saint’s season ticket holders against the NFL. That is the way it works. Injustice leads to outrage, outrage creates energy and that energy is used to take action to correct the injustice. As human beings, we tend to be passionate creatures and we get outraged by a lot of different things; be they sports, politics, work situations or our families. When we feel that an injustice has occurred or that something is wrong, we take action to correct the situation. Typically, the greater the injustice or the more important the situation is to us, the greater the energy created to correct the situation. We can consider it Newton’s Third law of motion as it pertains to human behavior. Now consider this, the world health organization estimates that approximately 153,000 people die every day. 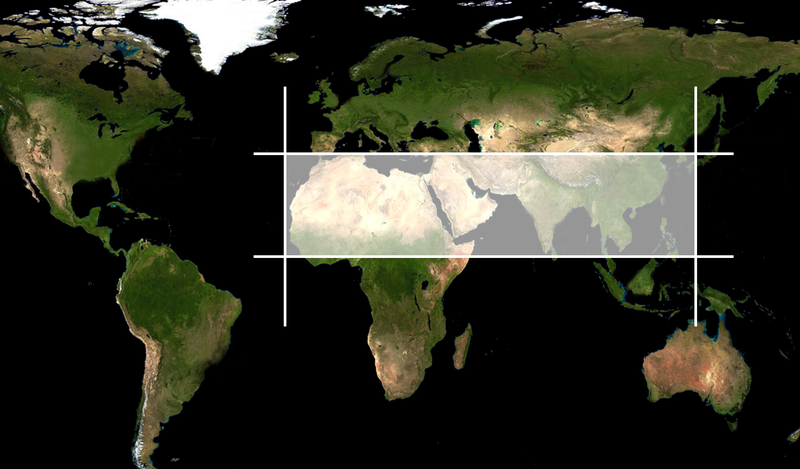 It is estimated that of the 5.04 billion people that live in the 10/40 window, about 68.5% are in unreached people groups. That means that no less than 68,000 people will die every day having lived their entire lives without ever hearing the name of Jesus. They will find themselves before the King without knowing who He is. They will face condemnation without a Savior. It is not because they denied Christ, it is because no one cared enough to tell them about Him. Where is our Christian outrage? Where is the passion and energy that compels us to act? How is it that we can be aware of this and still sit quietly, week after week, when blown sports calls, historic and national symbols or political debates will provoke us to fight? While there are a number of theories as to why Christians in this country are unmoved by the hopeless plight of those who have never heard the name of Jesus. I fear that the answer may be a simple one – they are just not that important to us. When compared to maintaining our rituals, traditions and comforts, their eternal destination really doesn’t stir our passions; we are not outraged. We are not even moved. Fortunately for us, Jesus was moved. He was so moved by the overwhelming effect of sin that He willingly paid the price we owed for our salvation. And He cares about every man, woman and child who has yet to hear His name. Even now He is sending obedient followers into the dangerous areas of this world to proclaim His name. He is calling His followers to commit themselves to His global mission. Will we choose to be a part of that mission? Will we be moved by something more significant than our own comforts? Will we be outraged by the reality that in time it took to read this article, 236 more died without ever hearing the name of Jesus?